While attending tonight's State of the County event for Macomb County at the Macomb Center for the Performing Arts, I was again impressed and inspired by Macomb County Executive Mark Hackel. He does a phenomenal job presenting and you can tell how much he truly loves Macomb County. This in turn, reminded me of all the great things I love about Macomb County, too. @MarkHackel Make Macomb your Home! #Macombsoc #speech pic.twitter. r great county. There is a lot of growth and new opportunities. Our county has a balanced budget. We have a strong County Leadership Team. And we have many businesses in the area celebrating achievements and milestones. After the event, there was a networking reception combined with a "Taste of Macomb" event, where you could sample foods from area restaurants while mingling with attendees. If you live or work in Macomb County, this is an event you should plan to attend. It's held once a year in December and a great way to learn more about all the great things that Macomb County has to offer. You can learn more at http://www.makemacombyourhome.com/. Were you there? If so, did you get some Achatz Pie before they ran out? Quick - what words come to mind when I ask, "What is a brand?" Chances are, you thought of a product like Nike. Or a company like McDonald's. Or a cereal manufacturer like Kellogg's. Or perhaps a logo or a brand name popped into your head. And now - quick - what comes to mind when I ask you "what is your company's brand position?" Need some help with this question? You're not alone. Chances are, unless you work in the field of marketing, you struggled with the second question. And even if you do work in marketing, from time to time you'll struggle with this question, too. I've heard it said (and I would credit the source if I knew it...) that your brand is what other people think of you -- or your company. This is NOT a brand. 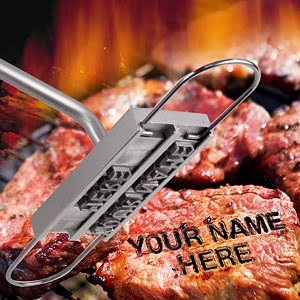 It's a branding iron that is custom made to put your name on steaks that you BBQ at home. Granted, it is a really, really cool brand and one that I'll consider as a gift for anyone who loves to grill steaks. And/or who loves seeing their name on things. Especially things they cook. You can't create a brand - but rather you can help to formulate a brand strategy to help to shape opinions and steer the direction of your company. Done right, it helps to solidify what makes your company and products unique, and it will bring together your internal and external audiences who will embrace and celebrate the brand message. If you think that a brand strategy is akin to a branding iron, in that you "create" the brand by making your mark on things - you're going to have some struggles. How do you start creating a brand strategy? Talk to your employees. Talk to your customers. Figure out what you are and what you're not, and how you are unique in your industry. Find out what your current communications - web, social, digital, ads - are saying about your company and figure out if they are lining up with what your internal and external audiences have shared. How do you manage your brand strategy over time? Keep tabs on how your company and industry is changing. Keep talking to those internal and external folks. Identify your brand champions or ambassadors, and embrace them. Not literally. Well, maybe occasionally, if a hug is warranted and you're close. But rather, embrace them by asking their opinions, their input, and for their support. What are some of the best branding campaigns you've seen? Would YOU Invest in You? 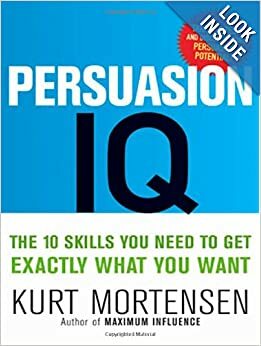 As I was reading, or rather listening to a book on CD this week entitled, "Persuasion IQ: The 10 Skills You Need to Get Exactly What You Want," the author makes a statement related to my love of professional development: "Would YOU invest in you?" In other words: if you were an employer or customer, how attractive of a candidate (or purchase) would you be? He then goes on to explain the value of continually developing your skills to keep yourself current. As working professionals, whether you work in marketing, retail, technology, accounting, building maintenance, horticulture, or marine biology, it's important to continually educate and improve yourself. In effect, this means it is essential that we continue to invest in ourselves to make ourselves marketable. Regardless where you are in your career, the time you reach a point and you no longer seek to learn and improve your skills might be a tipping point in the time when you start to become obsolete. I love to learn. I remember growing up loving the school library. I was such a big reader that I recall my elementary teacher at Marie C. Graham schools in the L'Anse Creuse Public School District letting me go to the library to read once I had completed all my schoolwork. At the end of the school year, I was allowed to go to the library to help the librarians clean the books. I remember the smell of the books and the sense of excitement to this day. My mom was also a book lover. She would take us to the library and let us pick out any book we wanted. But I digress. There was a period of time where I didn't want to learn anymore, or rather, I was just tired of going to school and wanted to be done. It was the last few years of my undergrad and luckily by then I had decided to major in marketing, which came easy to me. Over time, I eventually returned to the libraries and used bookstores and even started a few fiction books during my first job. They are on a disk somewhere in the house. After a few job changes early in my career, I had landed a position with a 1-hour commute both ways. I decided to make the most of it and started listening to books on CD. 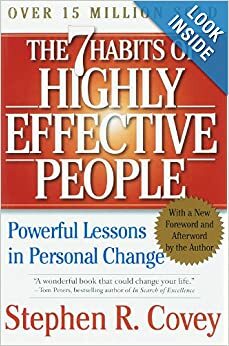 I began with fiction, and eventually moved into professional development books, including Covey's "7 Habits of Highly Effective People." While at that job, I recall mentioning to my manager how I wanted to move into management in marketing, and he suggested Toastmasters International to help me develop my public speaking skills. It took me a few years, but I eventually did join and I'm so glad I did. I found it to be a great support group to help me overcome my introvertedness (is that even a word?) and I still consider myself an introvert at heart these days. Probably all that time in the library when I was a kid! I completed my Competent Communicator achievement in Toastmasters within the first few years, and have recently completed my Competent Leader achievement as well. By staying active in Toastmasters, it helps to keep the edge off my nerves. Plus, over time I've found that all the practice has made me actually enjoy the act of speaking in public. Well, most of the time... my nerves still act up from time to time. 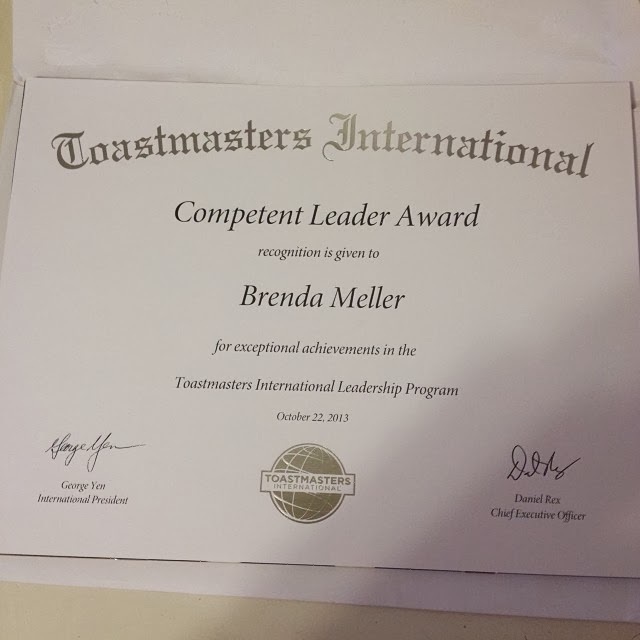 Not too long after joining Toastmasters, I also started to seek out networking organizations. I wanted to find more women like me. At the time, I worked for a male-dominated company with very few women in management or leadership positions, and I knew there had to be other women like me out there. I was embarrassed at my first meeting to announce this, but many of the other women in the room nodded their heads in agreement and gave me a kind smile of support. I joined Inforum Michigan back in 2008 thanks to a birthday gift from my husband, and have found it to be a worthwhile organization. I've been chairing the Inforum Troy networking breakfast since early 2009, and have great co-chairs to help make it more management. 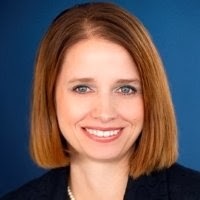 (side note: Connect with Laura Rolands and Bailey Bynum if you get a chance. They are both rock stars.) Infohttps://www.inforummichigan.org/events/presence-and-professionalism-face-politics). In addition to the networking breakfasts, I've found events like these are great educational and networking opportunities. I'm always impressed by the caliber of the Inforum speakers and events. I continue to invest in myself,"
What's next after that? I'm not sure, but I know I'll continue to find ways to invest in myself. How about you? I have to share a recent experience that began a few weeks ago on social media. June 24, 2013: my friend Jennifer Marsik Friess shares on her Facebook page: "Look what Patty Buccellato at Refined Images sent me! Since she's set me on my correct path, if the duds doesn't match a color in this wheel, I don't buy it. Thanks for the updates, PB! I'm gonna pop some tags." I jump into the discussion, asking about the color wheel she has posted and how one goes about getting one from Patty. I'm one of several women in Jen's friend list who responded to the post. I think we're all intrigued with looking our best. For me, I'll admit I'm frugal and practical when it comes to wardrobe shopping. I've learned to only buy something I love and that includes colors I love. Patty and I exchange a few emails, and we set an appointment at her Rochester Hills studio for a color drape. Patty reminds me to allow at least 45 minutes for the appointment, and that dress is not important since my outfit will be covered by the drape. She also suggests I bring makeup with me, since I'll have to remove it as part of the session. Eek. Did you read that last part? I have to remove my makeup in front of one of my professional friends? Yes, this gave me some anxiety. I arrive at Patty's office and we chat briefly before the draping begins. She asks about my experience with color consultations and knowledge of color overall. I mention I had some past knowledge of the "seasons" color approach but haven't really followed it. Prep. Patty hands me a few makeup remover tissues and sends me to the ladies room down the hall to remove the makeup. I return sheepishly feeling exposed. The next step was Patty draping a cape over me, covering my top. Hair. We then talk briefly about hair color. Patty notices my hair color is different and I explain my recent home coloring experience, followed by a salon color correction because I was not happy with the results. Yes, the grays are slowly starting to pop up, too. She shows me a swatch of hair colors and asks me to select what I think is my true, natural hair color. I flip through the ring and find one that is close, and she agrees. She explains that my natural hair tone is more on the ash scale and the color treatment I'm working on correcting had more of a brassy look to it. I agree and make a mental note to talk to my stylist about this at my next color correction appointment. The whole time, I'm trying to pretend that having a conversation without makeup on is not bothering me. Next, Patty helps me into a hairnet to pull all the hair off my face. Keep in mind I'm already draped, with no makeup, and now my hair is all pulled back. You know that feeling you get when you're at the hair salon and they ask you to look in the mirror at yourself? I don't know about you, but this makes me uncomfortable and I'd just as soon not look at myself in a mirror in front of someone. I'll wait until I get out in the car or home to inspect the cut. So I'm feeling quite exposed and anxious (Patty does not realize any of this!). But we begin! The Colors. Patty begins by showing me a drape with a different variety of striped colors on each side. She asks me to select which one I prefer, side one or side two (think of an eye exam). I immediately am drawn to a brighter set of colors. She then asks me to not look at the colors, but to focus on my face instead with the colors next to it. My perspective immediately changes. The color stripes with softer colors actually look much better against my skin. We go through this process with several drapes. Patty asks me to focus on my eyes, my teeth, and those imperfect areas of my face (blotchy, dark circles, etc.) when evaluating the color options. Through the process, it becomes easier to make the selections. Guide. Patty helps to guide me through the process gently by helping me to arrive at the solutions on my own. By the end of the appointment, I'm no longer aware of the fact that I'm exposed and makeup-less, but rather I'm inspired by this new found knowledge about color combinations that work on me. My Color Wheel. At the end of the appointment, Patty selects a color wheel based on the color combinations which I indicated a preference for through the appointment. We review the wheel together and I immediately find a few colors I will never wear. Green, for example, is not a color I'm overly fond of nor do I think it looks good on me, despite what the wheel says. Educated and knowledgeable. I leave the appointment with my custom color wheel and a spring in my step. I can't wait to raid my closet to remove clothes that aren't in the wheel. In the weeks following this appointment, I've made wardrobe changes and have noticed the impact. I've received compliments on some of the new color combinations and have shared my experience a few times. I think the consultation was time well spent toward the a wardrobe that will make me look and feel my best. Thanks Patty! And thanks Jen for the inspiration! p.s. Check out Refined Images at www.facebook.com/refinedimages. Public relations professionals are the link between the internal organization and everyone else in the world. Did you know that as a Toastmaster in Good Standing, you have the opportunity be in charge of our club’s PR activities? It’s true! Fellow Toastmasters and future Toastmasters, consider today your lucky day, because today will be life changing. I’m going to introduce you to the 5 and a ½ best things about being our club’s Vice President of Public Relations. Let’s start at the top. #1 – This Club is the only place where you can become a VP of PR with NO PR background. That’s right! Step right up, ladies and gentleman. No experience required! Nowhere but Toastmasters can you step into a role where your only qualification is interest, train yourself along the way, and build into your resume valuable, highly sought-after PR experience that can never be taken away from you. In any other organization, if you were to apply for this role, your resume would never see the light of day. A close second is my #2 – training is provided, as much or as little as interests you. You can dive fully into this position and read the leadership manual, attend free bi-annual training sessions with other VPs of PR from other Toastmaster clubs, scour the internet for articles and tips about the PR role in Toastmaster clubs, and network with fellow VP of PRs at other Toastmaster clubs. Or, you can pick and choose any of these that interest you in helping you to become the best club VP of PR of all time! Which brings me to the #3 best thing about being our club’s VP of PR: Toastmasters provides you templates and suggestions for press releases! A press release is little more than a pitch to the media and general public about something of interest. This might be officer election results, club contest winners, club open house announcements, or many other exciting club achievements. You simply need to change a few details, add a quote from someone at our club, add your contact information, and WHAM – you’ve got yourself a press release. Submit it to your local community paper, Patch sites, and share with your club members and you’ll see how quickly the word can be spread. Now if you’ve successfully launched a press release, you’ll learn the fourth best thing about being our club’s VP of PR – your name will appear in print! Why wait a lifetime trying to make the Crain’s list of “People to Watch” when here at Toastmasters, the only achievement you need to get into the press is your ability to add your name and contact info as the media contact! Now don’t get me wrong, this is no small feat. After all, by putting your name as the media contact, you have to be prepared that the next phone call might be from the Detroit News or Free Press. Chances are, that won’t happen – but it IS a possibility! And you as our club’s VP of PR will be there to take the call. In addition to the traditional PR side of this officer role, you’ll also have the opportunity to gain some social media organizational experience, which is the fifth best thing about being the club’s VP of PR. You can start managing the club’s Facebook page today, and in a month or so, you’ll start to learn tips to help promote club meeting participation. By liking other club’s Facebook pages, you’ll learn their techniques, too. Beyond this, you can certainly test out a club LinkedIn group, Twitter account, and more. And if you’re like me, bring your smartphone with you to meetings and snap those action shots as the opportunity presents itself. I’ve found the club announcements of our achievements to make great photo opps! This brings me to the fifth and final best thing about being our club’s VP of PR, which is really more of half of a tip. Fellow Toastmasters, if you sign up today, you can step into the role of our club’s VP of PR and I will offer to shadow you in this role for the next six months! I’ll share what I’ve learned, offer you suggestions, or stay out of your hair entirely unless you need support! My hope is that this offer makes the role less intimidating and helps to nudge you in the direction of taking on a new leadership role. Fellow Toastmasters and future Toastmasters, as long as you’re a member whose dues are paid in full, you have the chance to be the club’s next Vice President of Public Relations. This offer is valid while supplies last and I urge you to act now! We now return you to your regularly scheduled meeting. LinkedIn had a "Reading List" feature that was disabled a few months ago, to my dismay. I had shared several books I've read as well as earmarked several I intend to read in the future. In this blog post, I'll add those books for my own safekeeping, as well as to share with blog readers who might be interested in sharing their suggests as a "comment" to this blog. I've decided to make a conscious effort to read more each week. This blog post will help to give that goal focus. I read this book as part of the Inforum Michigan Executive Leadership Program. I found it an easy read, and very inspirational and enlightening. I'd recommend this book. Viktor Frankl's book was suggested.